Xamarin is great for cost-effective cross-platform mobile app development. Read more about the benefits and features of the Xamarin mobile application development. India is witnessing the mushrooming of startups at an unprecedented rate. More number of youngsters are moving to entrepreneurship every day. And in the fast-paced technology-driven world that we live today, seldom do we come across a startup that can do without a mobile app. Speaking of mobile apps, we have seen some beautiful one and a half decade over which we saw mobile apps develop from nothing to everything. When the development of mobile apps had started, it was more dependent on the platform of the device that it was being devised for. If it was a Symbian run phone, it'd have to be designed in just one particular language. But for another phone, it would require an altogether different kind of programming from scratch. Today, the three most important platforms for which apps are developed are the Android, the iOS and the Windows Phone. Mobile Application development had been a difficult nut to crack particularly because until recently companies had to flush down extra money for the same app for their brand just because they had to make it available on all the three platforms. This was a serious drawback for young startups because they are always short on funds and hiring three different app developers for three different platforms was a real challenge. The need then was felt for the development of a single platform or a framework wherein developers could come on the same page as far as dependency on platforms came. With the objective of keeping the idea in mind and not the targeted audience, be it iPhone users or the millions of Android users out there. What was required was pulling the mobile application development industry in the world especially in India (given the huge heterogeneity among mobile users with regards the kind of platforms they prefer) out of the difficulties of depending on multiple platforms for which mobile application is being developed because each platform requires different technologies and programming methodologies to develop the same single app across multiple platforms. In order to rescue the mobile app development industry from this situation, the Xamarin app development framework was contemplated. Xamarin is easy to learn and understand. Now, why is this an advantage? Being candid, it directly translates into lesser expenditure on highly experienced individual mobile developers which you are going to have to hire for mobile application development in India across different platforms. For the ease of use that Xamarin brings with it, it is relatively easy for techies to get a fair grasp of it so you can totally work with freshers. Xamarin is the one stop solution for mobile app development. The code that your app developer is going to write in C# for one platform can be used and ported across different mobile platforms such as iOS, Android and Windows – In fact, this is the key advantage why mobile application development on Xamarin translates into a cost-effective solution. Xamarin has in store an unprecedentedly amazing native UI which is why it has become the most favorite native app development platform for mobile application developers. Xamarin also has an added advantage with the number of bugs that you're going to come across as a developer. The tool has been designed with the aim in mind that mobile application developers spend more time developing and less time dealing with meaningless trivia. As a mobile app developer in India or an entrepreneur who is going to have to employ one, you won't have to create different API for different mobile platform. Being the Xamarin cross-platform development tool that it is, it allows the use of the same API to build apps on iOS, Android as well as Windows. The kind of community and support that Xamarin has to offer is also an x-factor that plays a role in adding to its popularity. There are other benefits too such as a shared code base, easy and seamless integration, Xamarin Form and much more. Having given you a brief on the benefits of Xamarin, now let's discuss why Xamarin is particularly helpful and overly useful for startups. Startups are newly bred set-ups which aims for speedy growth with the limited resources that it has at the beginning. Several times startups simply postpone the idea of beginning with the development of a mobile app for the reason that they can only choose to develop an app for one platform at a time because of the resource crunch. So if being an entrepreneur you are developing an app for say Android users, you are surely not only going to miss out on iOS users but also potentially upset them. Then again the chances are that your competitor is going to exploit this weakness of yours and offer their app to the customers on the other platform that you were unable to address. 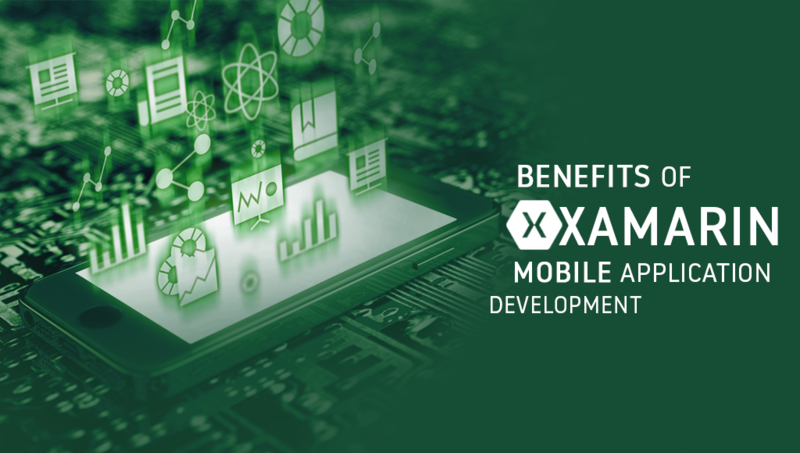 By allowing mobile application developers to develop an app for Windows, Android and iOS at the same time, Xamarin has directly cut on the difficulties startups face in the initial phases of their growth, allowing them not only to go ahead with the mobile app development that was key to reaching out to the customers in a world of cut-throat competition, but also address users of all the three platforms at once. What's more, if you're developing on Xamarin, rolling out updates across all the three platforms becomes easier. You won't need separate coders for each platform, once again. Clearly, not only Xamarin is a big-time rescuer for startups when it comes to funds, but also is a major time saver. In that, we like to claim that Xamarin is the mobile application development tool of this century and if not Xamarin itself, future mobile development tools are going to be built on similar lines. Logiticks, the leading Fintech company in India , have mobile app developers who have mastered Xamarin mobile app development not only through rigorous brainstorming with the tool but also the experience they have gained over the years by building real-time apps for our clients. When we started with Xamarin, our developers too found it challenging but instead of allowing it to stay a roadblock, we decided to make the best use of the opportunity, for we clearly knew back then that sooner or later, the mobile app development industry in India or otherwise is going to pin its faith on Xamarin mobile app developers. Working with us would not only translate in the timed delivery of updates and progress but also unflinching support for what we're going to build for you. Write to us at cuscon@logiticks.com for a free consultation from our experts or call us straight so we can sit over a coffee and discuss how we can together strengthen our businesses through a symbiotic relationship built over sweet mobile application development.